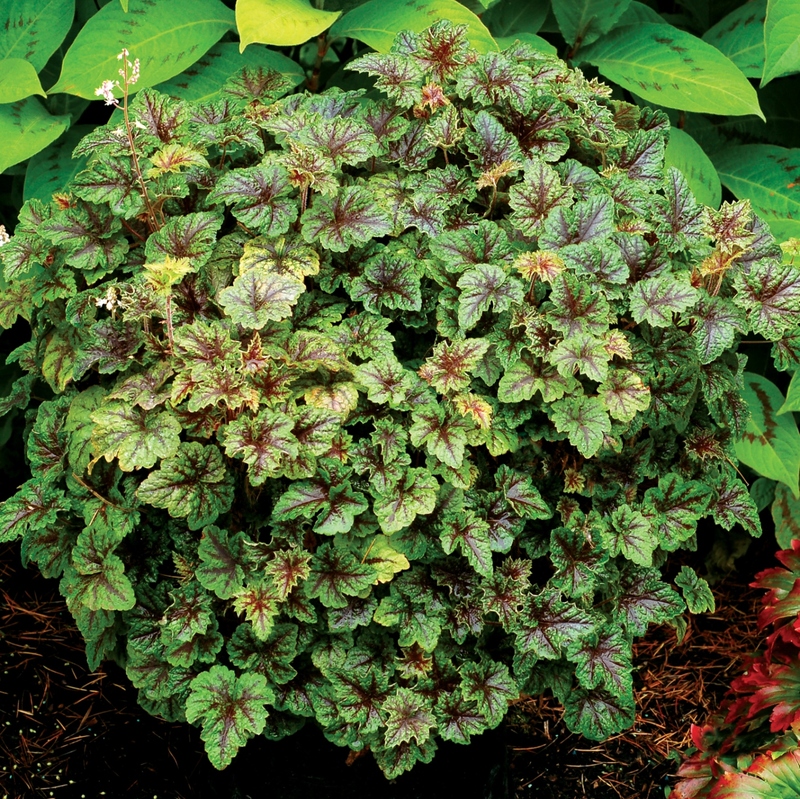 Tiarella 'Sunset Ridge' will please you with its vigor, glossiness, and beautifully marked leaves. It makes a great ground cover or use in hanging baskets. A great non-climbing Ivy replacement! The maroon red coloration in the center of the leaves enhances as the season progresses. This tiarella takes more direct sun than most others. PP#23628.